Réka Artner and her team of 70 have been producing TEDxVienna for several years now. She joined the team after attending TEDxViennaLive in 2012. It’s one of the TEDx events that other organizers would love to visit. Set in some of the cities most amazing historical venues, this TEDx also features Adventures (see video montage below) and workshops. 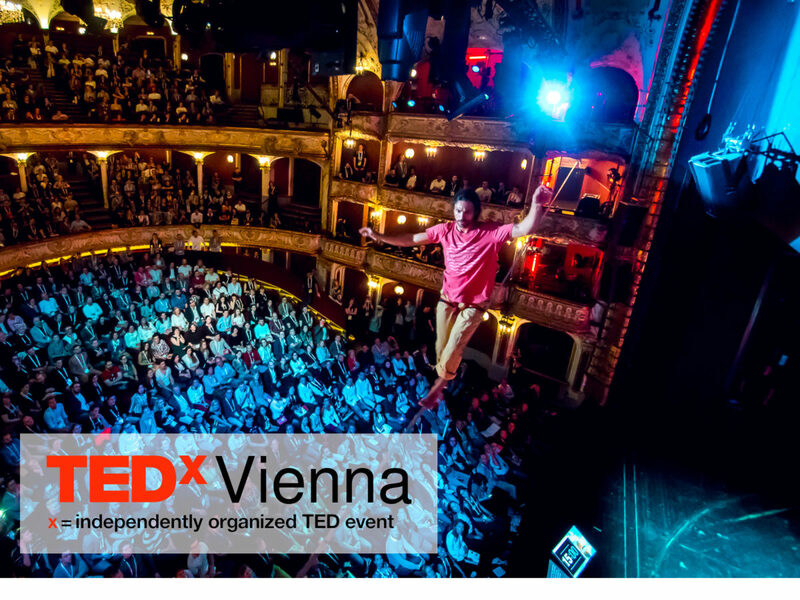 TEDxVienna has been around since 2010 and has produced 23 events, including Salons and Live simulcasts. Réka has an infectious laugh, and her first job was as an event manager and working with 50 volunteers on the day of the event. She says that the most significant surprise has been what the audience reacts to. Having a close liaison with the speakers gives her a sense of how the audience will respond, and they resonate with the ideas in unexpected ways. She loves this. The idea of producing Adventures for the event, essentially mini-field trips, led by volunteers, is a way to take attendees on a local exploration into a place that they’d probably not be able to get to on their own. They did ten adventures with 20 people in each one. (The more we hear about adventures, the more we want to produce them ourselves). She got interested in TEDx after attending a LIVE simulcast in 2012. We hear this a lot, a person attends an event, then steps up the next year to volunteer, and after a period, end up being a co-organizer. TEDxVienna has done 23 events, including Salons and LIVE simulcasts. They produce Adventures and Workshops as well. They have a 15 person blogging team that posts 3 times a week. They also search for unique historical venues that celebrate the cities beauty and charm. The audience reactions to the talks. She thought she knew what would get the applause and was surprised by what actually resonated with the audience. This year it was trickier to finalize speaker issues; Visas, Travel and communication with speakers slowed us down. Give your volunteers very specific jobs – and lots of cookies. Meeting other TEDx organizers at the workshop and standing behind the stage and peeking at the audience.